I always think that men are incredibly hard to buy for. I know for Gaz it’s very difficult to come up with a practical gift that also offers something a little different than he would ordinarily buy for himself. For Fathers Day, and especially with British Spring time, I think an umbrella is both a practical and affordable gift and, thanks to Susino, it can be incredibly stylish too! 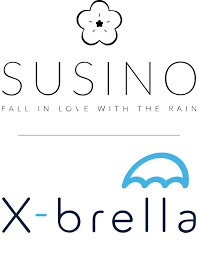 Susino, and X-Brella, is a modern, successful umbrella brand and manufacturer who have rapidly grown into one of the largest umbrella suppliers in the UK & Ireland. Their business is built around providing their customers with superior quality umbrellas at competitive prices in a range of popular, fun and fashionable designs. Susino offers a wide variety of umbrellas including ladies, gentlemen’s, children’s, golf and occasional ranges, which all make the perfect gift! When it comes to men’s umbrellas especially, I know that Gaz looks for something both masculine and stylish, but at the same time an umbrella which makes him stand out from the crowd. The Susino range can be seen across the high street as well as in many independent stores and boutiques, museums and tourist attractions. With UK dispatch within five days of order, they are a great gift idea, giveaway, business promotion or event accessory, and we are huge fans! Susino are giving one lucky winner the chance to win any two umbrellas from the following pages here and here. You may choose to keep one for yourself and give one to someone special, or maybe just keep them both with a view to mix things up on rainy days! To be in with a chance of winning simply enter via the link below, the winner will be chosen at random and notified via email at close of competition on 17th June. Good Luck! I like the Charcoal Grey Spots Print Walking Umbrella. I love the PINK FLAMINGO LADIES CLEAR PVC BUBBLE DOME UMBRELLA! Lots of lovely options but my favourite is the charcoal grey spots print walking umbrella. I like the unisex black mini compact – so convenient. I love the Black Watch Tartan. 3572 Rainbow colours – love it! I love the Rain Rain Go Away design! Love the rainbow one and also the black and white ones…..lovely ? Great prize ❤️ would really come in handy. wind resistantnn one is brilliant for where I live! I love the Union Jack Souvenir golf umbrella! I pick Premium Red and White Fibreauto Golf Umbrella as my golf umbrella got damaged on the golf course and is now useless. I need a replacement please! I like the Gibraltar Golf Umbrella Navy. 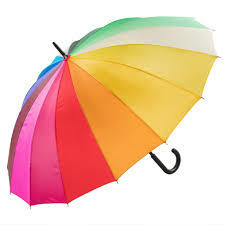 Has to be the Rainbow umbrella when it’s raining you need something bright & cheerful & this umbrella is it! The multi coloured polkadots are super cute! I would have to pick the Large Rainbow Coloured Golf Umbrella (3572) so nice nice and bright and cheery! The rainbow golf umbrella and the Black Watch tartan compact umbrella. It’s got to be the rainbow! The Rainbow it is stunning! I like the selfie stick umbrellas, the plain black being my favourite. The LARGE RAINBOW COLOURED GOLF UMBRELLA (3572) is my favourite but there are lots of others on the site that I love, too. Tough choice to make. Narrowed it down between the Wind Resistant, Pale Blue Paisley Print Ladies Automatic Compact Umbrella and the Grey Vintage Birds Ladies Mini Compact Umbrella (51029). The large rainbow golf umbrella is my favourite ??? The rainbow one, reminds me of old movies and perfect for dark skies! Black tartan one for me!! I really like the Gibraltar golf umbrella.